Redemption campaigns are extremely effective in engaging and interact with consumers to create a positive experience. Therefore, this will successfully increase brand recognition and boost brand reputation. On top of that, a simple entry to stand a chance to win the prize will entice more people to join. This is because if the entry process is time-consuming and tedious, many would be turned off and unwilling to participate. Renowned potato chips brand Pringles is currently conducting the following summertime promotional campaign. 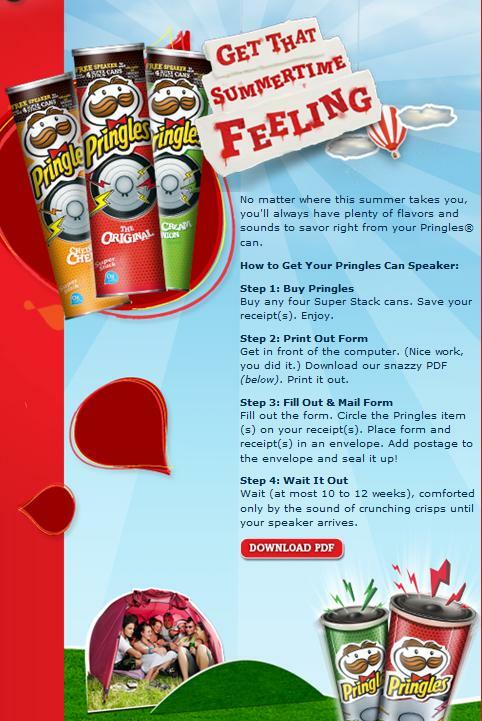 Buy any 4 cans of super stack Pringles to be eligible to redeem a free promotional speaker. Most of us probably have a can of Pringles at home right now, therefore, buying 4 cans would not be a big issue. Furthermore, consumers would be willing to make the effort and purchase 4 Pringles cans of potato chips to get a highly valued speaker in return. This is because speakers are not cheap in the market, therefore, it makes a really attractive promotional gift – increasing brand awareness and visibility. What we really liked was how this is such a Global Promotional Product Campaign! Click on most International Pringles Websites and you will see that Marketing Managers around the world have bought into this Promo, resulting in excellent Economies to Scale. The promotional mechanism used is a redemption campaign. Simply mail the receipts for 4 super stack cans of Pringles with a form and wait for the speaker to arrive. Such easy and simple redemption would entice first-time purchases and repurchases, as well as drive impulse purchases. Thus, successfully boosting sales and maximising profits. 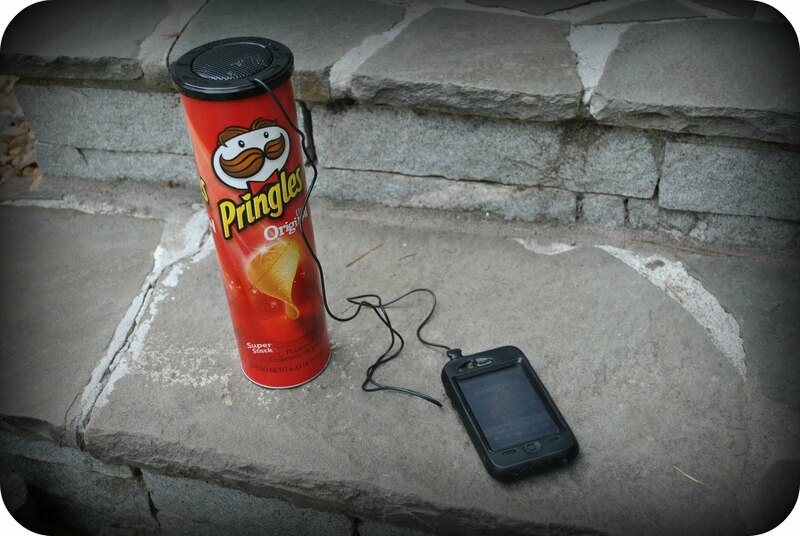 As a promotional tool, the speakers have the unique feature of being able to be fitted over a used Pringles can, turning it into a mobile speaker; great for parties and other get-together events. This gives a fun twist over other promotional speakers, giving it a higher perceived value among customers, encouraging participation. In terms of Marketing, as the speakers are fitted over the Pringles can and used outdoors, this promotion serves to advertise Pringles potato chips to other consumers. It encourages others to purchase in order to redeem such a speaker. Looking to create your very own innovative promotional item? Enquire @ ODM for more ways and explanation on how you can vastly improve your business. Our product designers will be able to provide you with multiple unique and interesting ideas for you to wow your audience and increase brand recognition. The specialists here is capable of assisting you throughout every process to ensure a pleasant experience. Contact ODM now! An Absolut vodka travel promo campaign caught out attention at the Dubai airport and we absolutely loved it! You are able to get a free branded audio speaker for the purchase of 2 bottles of 1 litre of Absolut. Find out how Absolut can benefit from this promotion!